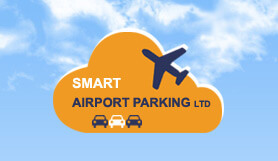 Smart airport parking in Luton is a marvellous meet and greet option for all types of travellers. They focus on making the process as convenient and carefree as possible. Book today online through Looking4.com and guarantee a secure parking space near Luton airport. Your car will be kept save in Smart Parking's secure car park with 24 hour security, CCTV, regular patrols and Park Mark Award. On the day of travel, meet your driver close to the terminal to hand over your keys on departure. Simply call on your return and they’ll swiftly return your vehicle so that you can hit the road stress-free. All drivers are insured and carry ID as standard and booking ahead can save you up to 80%. When you want a valet service at Luton that’s legendary, switch on to the Smart choice for savvy travellers. Please note you will need £7 to exit the short stay car park when leaving Luton Airport. Call Smart Airport Parking 40 minutes before the prearranged Meet and Greet meeting on the number provided in your confirmation email. It is important to make this call if you are running late or early. That way our staff will be aware of your situation and assistance will be allocated accordingly. Please call Smart when you arrive in the baggage hall on the phone number provided in your confirmation email, this will give us ample time to ensure your vehicle is waiting for you at the agreed meeting point.